How many hours do you need to bill this month? My fellow Litigators: it is a new year. 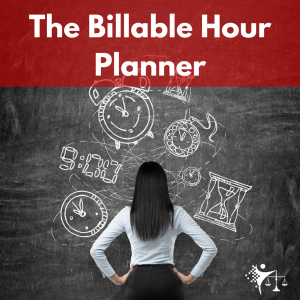 Do you know how many hours you need to bill this month to be on target for the billable year? Have you estimated how many days you need to work each month this year to satisfy your billable hour requirement? Does the thought of answering these questions about billing stress you out? What if you could estimate your billable hours for this year and track your progress? What if you could plan out your billable year now and spend more time planning to do the non-work things that you love? Affirmation of the Week: “The Universe is for Me and So is Everything Else.”	Learn From Each Loss. Remain Humble With Every Win.